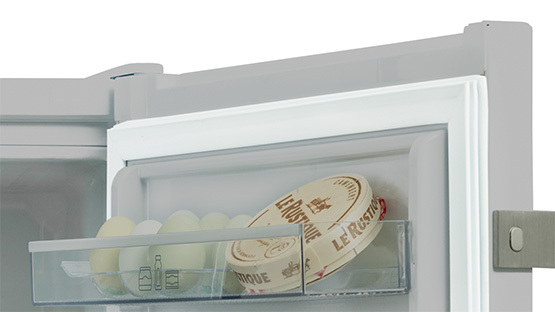 You don’t need to worry about keeping your bottom shelf dedicated to hygienically storing your deli foods anymore thanks to the Chiller Compartment in our integrated fridges. This zone will keep the temperature around 0°C, offering a hygienic and perfectly suited environment for your meat, fish and dairy products. Enjoy a convenient storage space for you bottles thanks to the chrome wire wine rack in our integrated fridges. 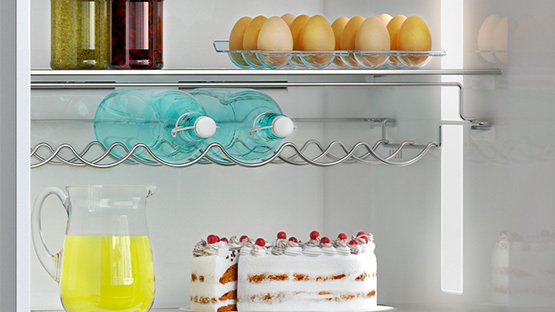 With plenty of space to store up to five 2-litre bottles or wine bottles on the chrome wire rack, you’ll have extra space on your fridge shelves to store more of your groceries. 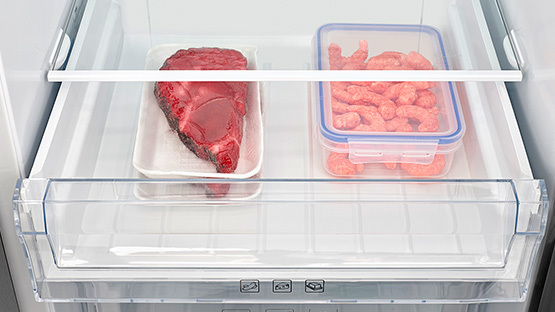 You won’t need to worry about bacteria coming into contact with your food and spoiling it, thanks to the antibacterial door seals on our integrated fridges which are designed to prevent bacteria from forming and entering the fridge.